If you have been around on a Saturday morning recently you would have noticed the increasing numbers of juniors turning up to the ride (and eating pancakes at the DOME afterwards!). In order to further encourage junior participation the Committee has resolved to offer all junior members a free club jersey! And in recognition that juniors will keep growing, the policy allows for one jersey per year (as long as they are a member) until 18 years of age. The policy will work much like the our current crash rebate. Purchase a jersey for your junior as part of a normal kit order. 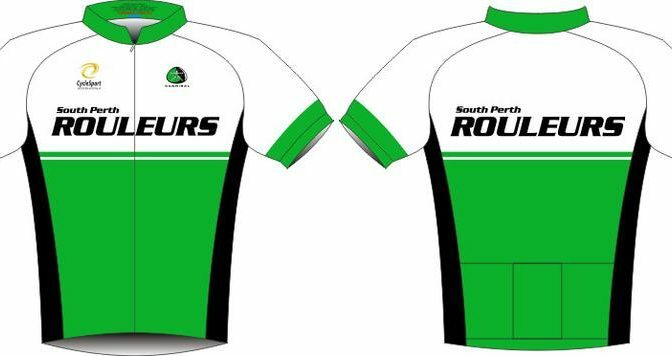 Send an email to kit@southperthrouleurs.com.au with details of the junior you are claiming the free jersey for (NB. the junior must be a club member – being part of a family membership is fine). The club will reimburse the cost of the jersey on confirmation of eligibility. If you have already purchased a jersey for your junior, fear not, claims can be made retrospectively.